Join our retreat and experience a deep practice of Yoga and Meditation based on Kundalini Yoga and the non-dual Direct Path. Learning to rest as awareness, and to let the movements of the body and the sensations flow in our space of listening and presence, we grow into understanding what we truly are: pure space of awareness, which is inner silence and the source of beauty itself. Day after day, your experience of inner peace deepens, a sense of clarity arises, and your way of perceiving becomes tainted with joy that comes from yourself, independent of the external circumstances. 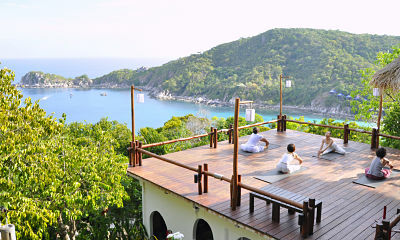 Every day, our practice will take place on a wooden platform built over a breathtaking panoramic view of the bay and its marvellous colours of blue and green, letting our sensitive space wide open, ready to welcome the entire expression of the present moment. Day after day, we will learn to perceive without judging or commenting on our experience, the mind will come back to its source, pure consciousness. We will feel more anchored in the Self, strong and stable. Our inner experience will gradually be of peace, joy and beauty. The teachings of Kamala, based on the non-dual Direct Path of Advaïta Vedanta, will guide us into an exploration of the nature of our experience and awaken in us the original intuition that reality is one. Separation does not exist. During the retreat, we will have several sessions of satsang, meaning sharing in truth. A satsang allows for questions to the teacher about the practice, non duality, how to anchor ourself in peace and happiness, etc. Satsangs are an essential part of our spiritual practice as they help to let go of false beliefs and understanding. Kamala uses the word form to help transcend our ego-constructed limitations so we can move closer to Truth. The teachings and the retreat are open to all, but your genuine motivation and curiosity to explore and go deep into yourself are required, as well as a good physical condition. Life is a gift. Yogi Bhajan, Master of Kundalini Yoga (1929-2004) used to say: “Happiness is your birthright”. Just seize it! Kamala is a certified Kundalini Yoga and Hatha Yoga teacher. She has been teaching since 2007, and leading full retreats in France and Asia since 2013. Also the founder and director of Omkamala Yoga center in Paris. Her teachings are based on the non-dual direct path, that essentially lies on listening to our inner sensitive space and on a quality of presence and awareness, without holding onto any desire or objective. Peace and unity soon emerge from our self, the present moment becomes a joyful expression of presence itself. 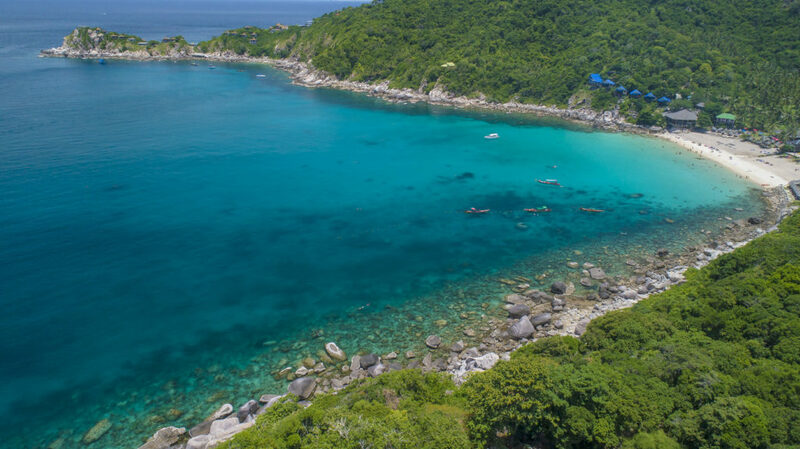 Baan Talay Resort is located far back from the activities of the island, niched in lush vegetation, with a splendid view over the blue sea. 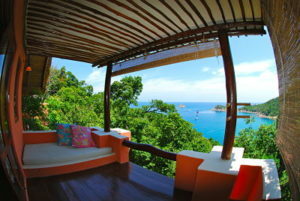 Each room enjoys sea view and is built with ecological material so as to blend into the surrounding nature. 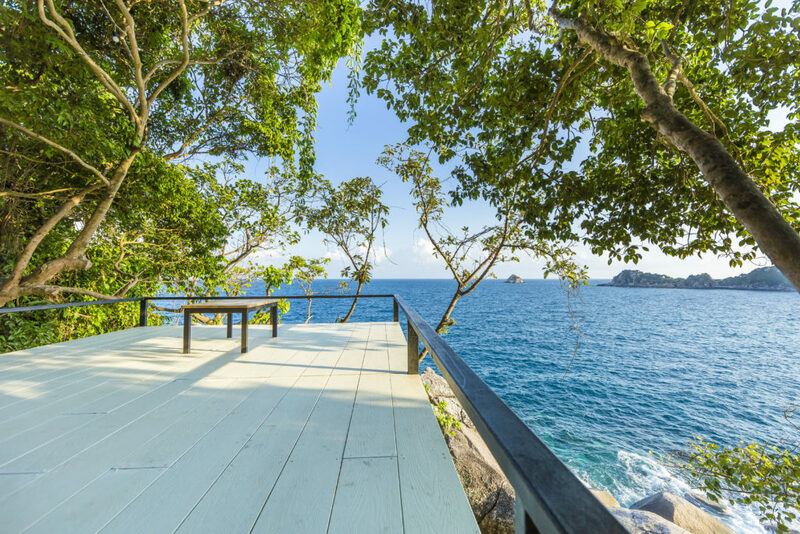 Baan Talay benefits from a direct access to the sea, with ideal conditions for snorkelling and kayaking around. 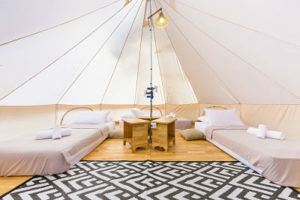 You will be able to choose between bungalow and luxury tent accommodation. Each room has its own private bathroom. During your free time, you can rest and sunbathe or be more active and go explore the under sea treasures, or use a stand up paddle to visit the surroundings. 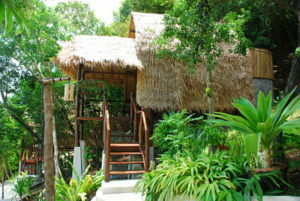 You could also book a nice thai massage to relax even more. Open to beginners of Yoga. However, a sincere desire to explore in depth meditation and the nature of our self is necessary to fully benefit from the teachings. A good physical condition is also required. Early bird discount: 50€ off the total price for registration before December 24th, 2018. 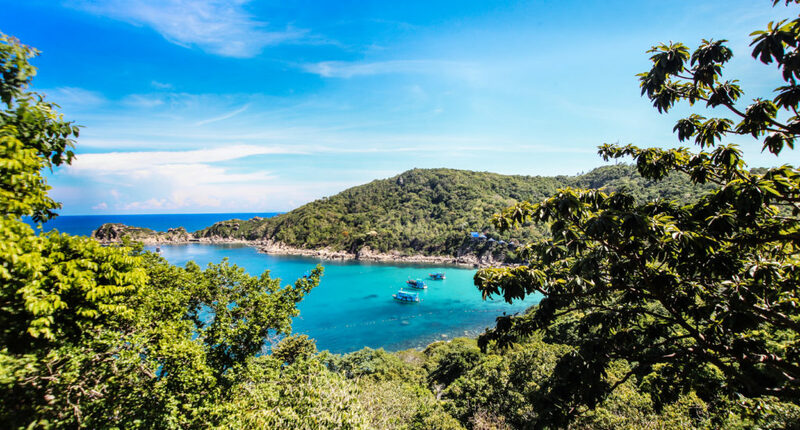 To go: buy a flight to koh Samui. At Koh Samui airport go to the counter of SAMUI ACCOM to get on a bus to Bangrak pier (10 min trip). Aim to board the SEATRAN ferry that leaves Bangrak pier at 1:00 PM, to arrive at Koh Tao at 3:00 PM. Baan Talay resort staff will be there waiting for you. To return: there is a SEATRAN ferry that leaves Koh Tao at 3:00 PM to arrive at Bangrak pier at 6:00 PM. To get to Koh Samui airport, take the same bus as for the first day. This entry was posted in Hatha Yoga, Kundalini Yoga, Meditation, Non dualité on 24 February 2019 by KamalAdmin.